Drawing on almost thirty years of senior managerial experience in the defense and software industries, where the successful completion of multimillion-dollar projects is a strategic imperative, the author has a unique understanding of both the qualitative and quantitative aspects of program management. On the technical side, this book is a complete introduction to predicting costs, setting schedules, and assessing risks. On the people side, it sheds new light on how to mold different personality types into a team, how to motivate the team’s members, and how to produce extraordinary results. After exploring the concept of “competencies” and showing how people must be at the heart of any organizational decision, Springer focuses on the essential qualities of leadership, the dynamics of teams, and the relationship between a team and the individuals that compose the team. He shows how an inclusive approach is essential to effective decision making. Using these insights, he then details the essential parts of the program management approach, describing the best way to define, organize, and schedule the work to be done, identifying risks and controlling costs during the whole process. 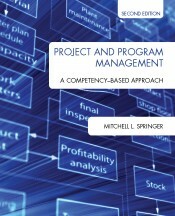 This is a uniquely insightful and practical text that will be invaluable reading for all professionals involved in the dynamic field of project and program management. Tested in a number of classes, the second edition includes numerous pedagogical improvements. 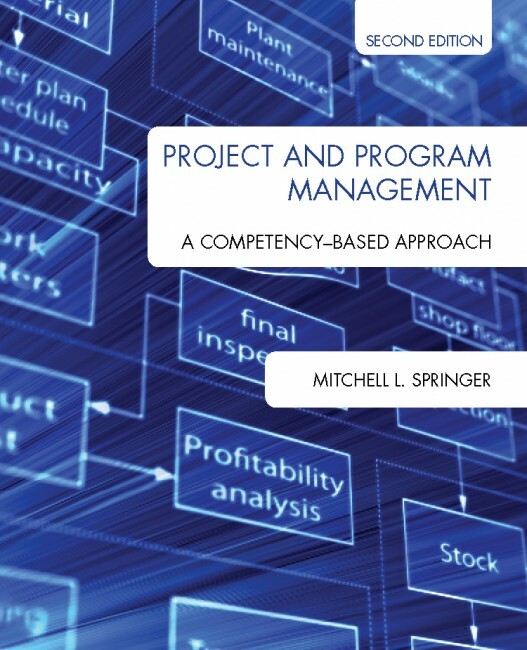 New research on competency models is presented and more emphasis is placed on the importance for project managers of understanding the global context.